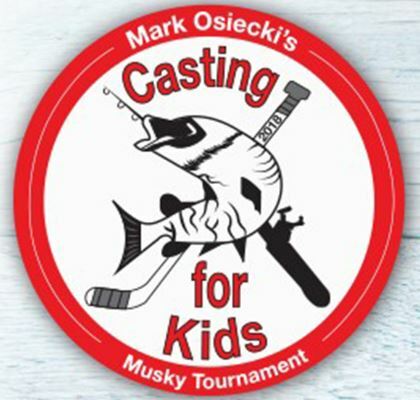 Wisconsin men’s hockey associate head coach Mark Osiecki is holding what he hopes will become an annual event each spring with his “Casting for Kids” Musky Tournament on Lake Monona and Lake Waubesa. The first event is set for Saturday, May. 26. Running from 8 a.m. through 3 p.m., the event continues with a dinner and auction at Madison’s East Side club from 4-8 p.m. There is a pre-tournament meeting at 7:30 a.m. at Olbrich Park. This is a catch-photo-release tournament for Muskies only.